Mary Lee Tracy was forced out on Friday. USA Gymnastics fired Mary Lee Tracy on Friday, just three days after she was appointed by the sport's governing body to be its new elite development coordinator. The firing came after a whirlwind day in which Tracy admitted to contacting three-time Olympic gold medalist Aly Raisman, first offered to resign and then recanted that offer. USA Gymnastics tweeted Friday evening it had "decided it would be best to move forward without Ms. Tracy in this role." The dismissal came as a result of Tracy reaching out to Raisman, who is currently suing USA Gymnastics over its handling of the Larry Nassar case. As a representative of the organization, she inappropriately contacted a survivor, who is also a represented plaintiff, in response to that survivor’s public criticism of her. USA Gymnastics decided it would be best to move forward without Ms. Tracy in this role. Raisman was critical of Tracy's hiring earlier in the week, calling her hiring a "profound disappointment." The elite development coordinator is responsible for developing talent for the U.S. Olympic team. "USA Gymnastics has appointed someone who, in my view, supported Nassar, victim-shamed survivors, & has shown no willingness to learn from the past," she tweeted. "This is a slap in the face for survivors, & further confirmation that nothing at @USAG has changed. What a profound disappointment!" In December 2016, following his arrest on three counts of criminal sexual conduct, Tracy defended Nassar, but later walked back those comments. Nassar pleaded guilty last year and was sentenced to up to 175 years in prison in January on seven counts of criminal sexual misconduct in the first degree. Raisman and scores of other gymnasts addressed Nassar in court during his sentencing hearing. "He had been someone that we all unfortunately had trusted and depended on, so when I was asked about my experience with him, that’s what I said," Tracy told Cincinnati ABC affiliate WCPO on Thursday. "So I’m not denying that I said that. Would I say that anymore? Absolutely not. ... The man is a monster. But at that moment, I looked at him like I would my dad or my brother." Tracy posted Friday on Facebook that she attempted to contact Raisman and apologize to her, but hours later USA Gymnastics tweeted out that they asked Tracy to resign, because she inappropriately contacted a survivor. (WCPO) Mary Lee Tracy was forced out as elite development coordinator for USA Gymnastics on Friday, Aug. 31, 2018, after she refused to resign at the governing body president's request. "In an attempt to move in our journey to more 'transparency' and openness, I need to explain why I have to resign," Tracy wrote. "[USA Gymnastics President] Kerry P[erry] gave me two options, to resign or be removed because I tried to contact Aly to apologize and hope we could work together to make our sport better and learn from all of the mistakes of the past. I was never informed that I was not permitted to speak to Ali or any of the survivors!" Two hours later, she took back her resignation and said she "was pressured to make a decision" and was now "seeking counsel." Sarah Hirshland, who took over as CEO of the U.S. Olympic Committee less than two weeks ago, threatened further shakeups for USA Gymnastics in a statement late Friday. Perry just took over as president earlier this year, but could be at risk of losing her job, The Associated Press reported. 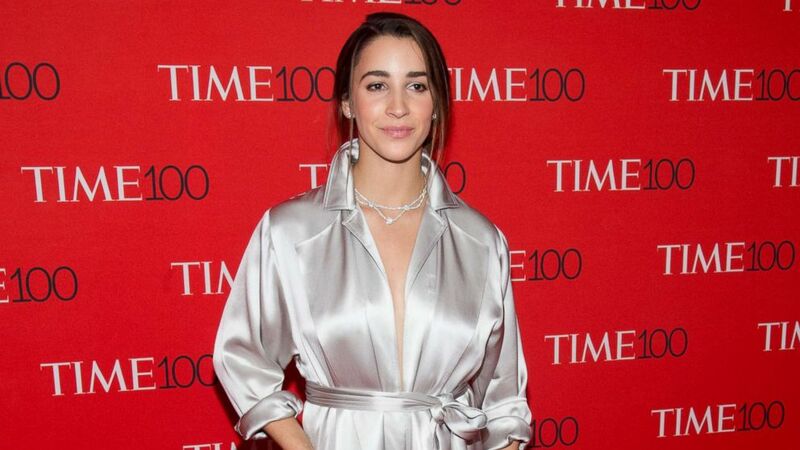 (Mark Sagliocco/WireImage/Getty Images) Aly Raisman attends the 2018 Time 100 Gala at Frederick P. Rose Hall, Jazz at Lincoln Center on April 24, 2018 in New York City. "As we close the day, I'm afraid I can offer nothing but disappointment," Hirshland said in the statement. "Under the circumstances, we feel that the organization is struggling to manage its obligations effectively and it is time to consider making adjustments in the leadership." 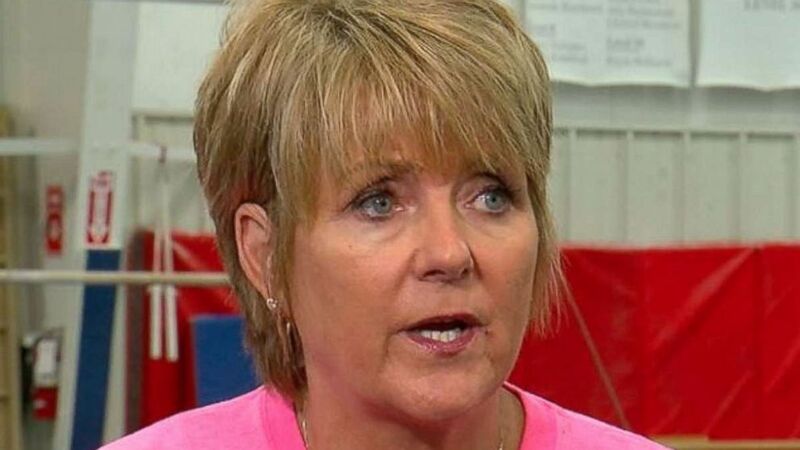 Tracy was head coach of the 1996 U.S. Olympics team, which famously won the gold medal in the team competition behind an injured Kerri Strug's vault, and has owned Cincinnati Gymnastics Academy for 25 years. The elite gymnastics school has produced four Olympians, according to USA Gymnastics. Raisman, 24, has not competed at the elite level since the 2016 Olympics in Rio, but she has not officially retired. She was part of the United States' gold medal-winning team in 2012 and 2016 and won gold in the floor exercise in 2012. She also owns two silver medals and a bronze.